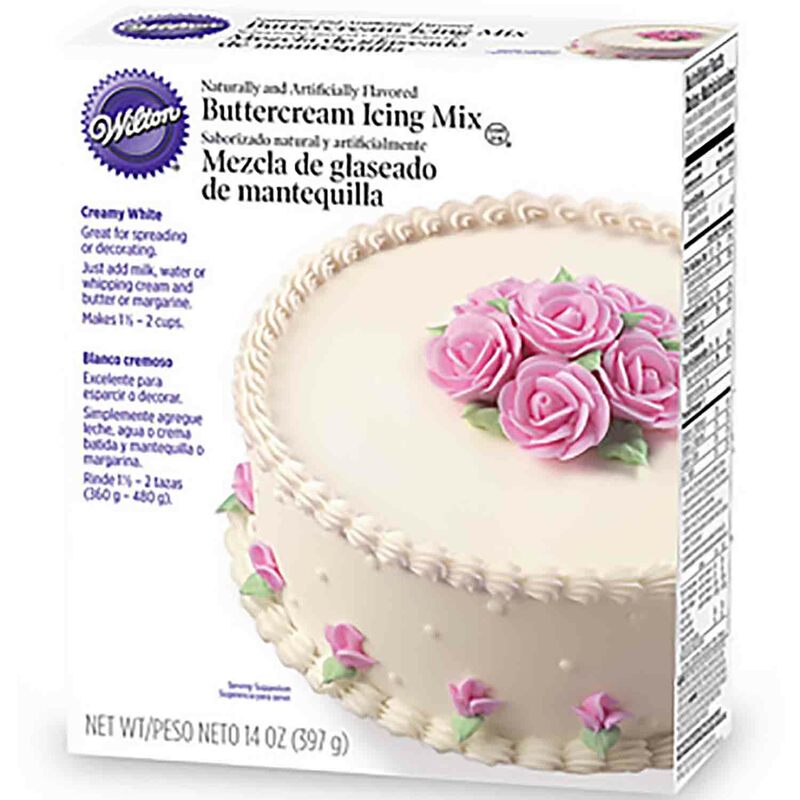 Brand: Wilton 710-112 Units: 14 oz. box Rich, homemade buttercream taste, great for decorating. Add butter and milk. Makes 2 cups. Rich, homemade buttercream taste, great for decorating. Add butter and milk. Makes 2 cups. Ingredients: Confectioners' Sugar (Sugar, Corn Starch), Powdered Vegetable Shortening [Partially Hydrogenated Soybean Oil, Corn Syrup Solids, Sodium Caseinate (Milk), Mono and Diglycerides], Titanium Dioxide (Color), Natural and Artificial Flavors.